Relieves symptoms of itching, burning and cracking of the infected area. MacerRx Web Gel contains Miconazole Nitrate 2% in an Astringent Vehicle. A new fast drying gel for macerated, infected web spaces. Medical strenghts antifungal cream containing tea tree oil and 20% urea. For the treatment of athletes foot and ringworm, which is designed to enhance the penetration into the skin. 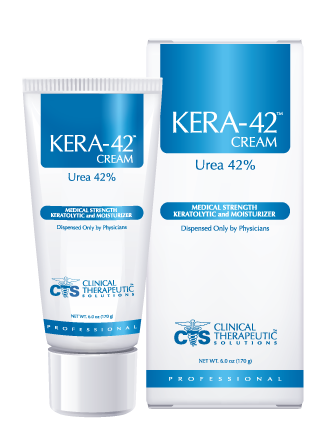 Medical strenghts antifungal cream containing tea tree oil and 20% urea. For the treatment of athletes foot and ringworm, which is designed to enhance the penetration into the skin. 1% Tolnaftate, is a safe, effective oil-soluble forumulation indicated for the treatment of athletes foot and ringworm. VerruStat products contain the active ingredient Salicylic Acid. It has been specially formulated for the topical management and removal of clinically or histopathologically proven common and palmoplantar warts. VerruStat is dispensed only by physicians. VerruStat is the first physician-dispensed product to employ retinyl palmitate (a vitamin A derivative), and penetration-enhancer MSM in the product vehicle. 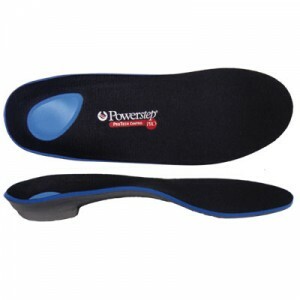 This unique product has been designed specifically for physicians of the lower extremity. The over counter orthotics feature a new and improved increased rigidity shell encsed in a tri-laminar EVA/poron outer casing. The polypropylene shell is anatomically designed to provide maximum control and support without sacrificing volume in the shoe. Our over the counter orthotics are exclusive to our office and not sold online or in stores which give you a better quality over the counter orthotic. As you walk your heel swings from side to side very slightly, like the pendulum on a clock. 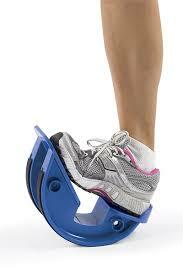 If, however, your heel swings too far when you walk or run, your foot may be overpronating, or flattening too much. This incorrect movement stresses and weakens parts of your foot. Over time, you may develop symptoms in your feet ranging from a change in shape to pain when you walk. Custom-made orthotics are medical devices that support and gently reposition the heel, arch, muscles, ligaments, tendons, and bones in the feet, enabling these structures to work together as nature intended, to make each step you take pain-free. Unlike shoe inserts bought over the counter, however, custom-made orthotics are built from molds of your feet to meet your unique needs. They're typically made with comfortable thermoplastic materials, which are guaranteed to last for years, and can be designed to fit in dress shoes, athletic shoes, boots, and skates. Custom-made orthotics can relieve many different types of foot pain including heel pain and plantar fasciitis; arch pain; pain caused by running, walking, and other athletics; pain related to diabetes; pain experienced by senior citizens; and many other kinds of foot pain related to bunions, trauma, sprains, and other disorders.